Here is the detailed information you need to know in order to become a Certified NRA Instructor regardless of the discipline you are interested in. Are you someone interested in teaching others how to shoot or shoot better? If so, the NRA Instructor program is for you. Many people want to share their knowledge of shooting with others as a responsibility towards their community and society as a whole. However, if you choose to teach shooting skills to others, you can’t merely rely on your shooting skills. You have to learn how to teach, to share the knowledge you have efficiently. To become an NRA Instructor and teach NRA programs, you have to meet certain requirements that qualify you to become a certified NRA instructor. Here are some of the requirements that you have to fulfill before becoming an NRA instructor. •	Before you are allowed into the Instructor Candidate program, you will need to take and pass the student course in the discipline you are wanting to teach. 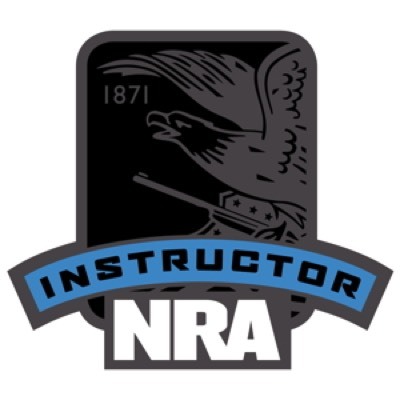 •	You will also be required to take the NRA Basic Instructor Training course as an Instructor Candidate before you can enroll in a specific discipline. This course is good for 2 years so you can add on additional NRA Instructor Disciplines without having to take this course again. •	Since you are going to be teaching students a specific shooting discipline, you will have to get an Instructor certification in that discipline. For instance, you need an NRA Basic Rifle Shooting Instructor certification to be an instructor in that discipline. •	You have to prove that you can handle firearms well, and that you act safely and responsibly with them. You will also have to show some aptitude in your shooting skill in the NRA discipline you want to teach. •	An NRA Appointed Training Counselor will conduct a pre-course assessment and qualification for each Instructor Candidate. The qualification will be in the form of exercises and a questionnaire during the course. •	You must complete the certification testing for the discipline you want to teach successfully. •	An endorsement from your Training Counselor is another one of the requirements. •	You will have to learn the procedures and policies of the NRA Basic Instructor training course, and the discipline you want to teach. •	You will learn the training methodology and practice public speaking. •	You will learn how to use training aids and work as a training team. •	You will receive student packets and lesson plans. •	You can expect your class to be between 4-12 Candidates. •	You will work with each other teaching segments of the student materials. If you are wanting to gain the skills and confidence to teach others to learn to shoot pistols and rifles as an NRA Certified Pistol or Rifle Instructor, or perhaps protect themselves with a defensive firearm as an NRA Certified Personal Protection Instructor, become a certified NRA Range safety officer, just learn more about firearms through an NRA Certified Home Firearm Safety program, or become a Refuse To Be A Victim Instructor to help others create a personal safety plan of their own, join one of our NRA Instructor training programs. NRA Instructor courses are discipline specific. During the Basic Instructor Training course candidates will learn NRA policies and procedures; basic public speaking skills; training methodology; use of a training team and training aids; organizing a course, building a budget; and finally preparing to teach. In addition, candidates will be provided the appropriate lesson plans and basic course student packets. Role-playing is a major part of an instructor course; therefore, the minimum class size should be at least four candidates, with 10-12 candidates being ideal. Candidates take turns working in teams, actually conducting portions of the course to other candidates who portray basic students. Instructor training courses are conducted by NRA Training Counselors. Training Counselors are active and experienced instructors who have been certified by NRA to train experienced shooters to teach others to shoot. Training Counselors will evaluate candidates' performance based on their ability to handle the firearms with confidence, use of appropriate training aids, following the lesson plans and meeting all learning objectives, while utilizing the teaching philosophies expected of NRA Certified Instructors. Candidates can also expect to learn the NRA discipline specific instructional methods and evaluating and improving the performance of beginning shooters.